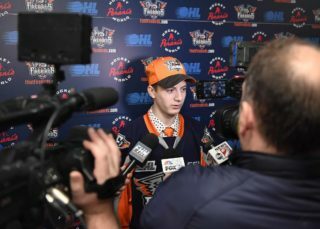 Flint, Mich. – The Flint Firebirds Hockey Club announced today that the team has signed defenseman Vili Saarijärvi (pronounced Sar-A-Jar-Vee) to an Ontario Hockey League (OHL) contract. 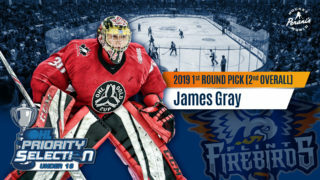 Saarijärvi, a native of Rovaniemi, Finland, was drafted by the Detroit Red Wings in the 3rd round of the 2015 NHL Draft (73rd overall) prior to being selected by the Firebirds in the 1st round (9th overall) of the CHL Import Draft on June 30 and will play in Flint for the 2015-16 season. After skating in the Red Wings development camp in Traverse City, Mich. in July, Saarijärvi competed with the U-20 Finnish National Team against the United States and Sweden national programs in Lake Placid, NY in early August. Saarijarvi was also chosen as the Most Valuable Defenseman in the prestigious 2015 IIHF Ice Hockey U18 World Championships in April, where Team Finland captured the Silver Medal in the championship contest played against Team USA. Last season, the 5-foot-10, 165-pound defenseman recorded 23 points in 57 games played tallying six goals and adding 17 assists with the Green Bay Gamblers in the United States Hockey League (USHL). Saarijärvi signed a three-year, entry-level contract with the Red Wings on July 3, 2015 and will skate in the Detroit Red Wings Training Camp and the NHL Prospects Tournament at Centre Ice Arena in Traverse City, from Friday, Sept. 11 to Tuesday, Sept. 15. 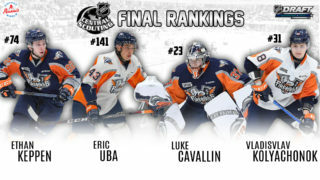 “Our goal with Vili is the same as every player on our roster, and that’s doing everything that we can, to provide an environment for him to develop and reach the goals that he set for himself in the game of hockey,” added Christensen.